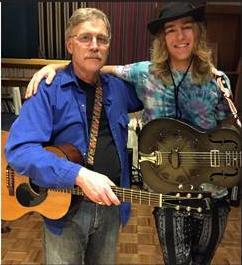 Ditch the cube and catch DaVines (Fred Vine & Alex Vine) at Hochstein at High Falls. Come enjoy lunch and this father and son duo that is going to make you want to get up and dance! There is nothing like the musical synergy of a father and son duet. Fred and Alex Vine have been developing their unique sound since Alex was a young child, with Americana (blues, folk, rock, and jazz) and original compositions making up their diverse repertoire. Fred Vine is one of the most well-known blues singers and acoustic guitarists in Upstate NY, a master of Piedmont finger-style and Delta bottleneck slide guitar. Alex Vine plays guitar, bass, mandolin, and percussion, and also writes and sings his own songs.